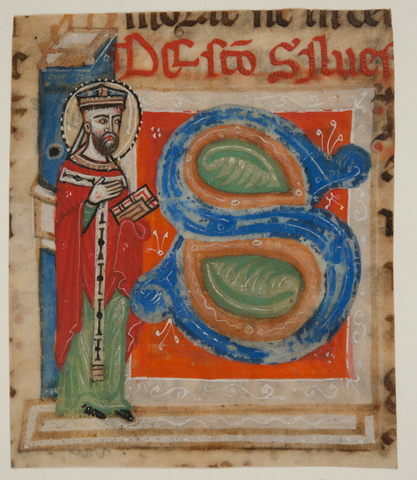 It is surprising that this initial is omitted from the 1958 description of the manuscript, and thus also from the list of Monza Master initials in the McCarthy catalogue. In a narrow sense, therefore, this is a "new" / "unknown" cutting. 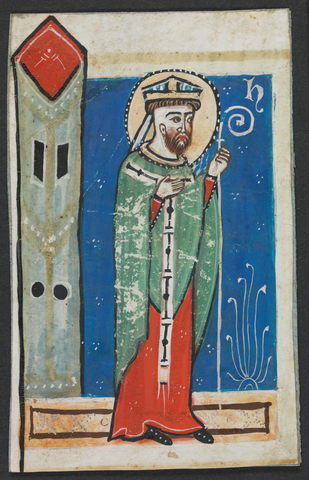 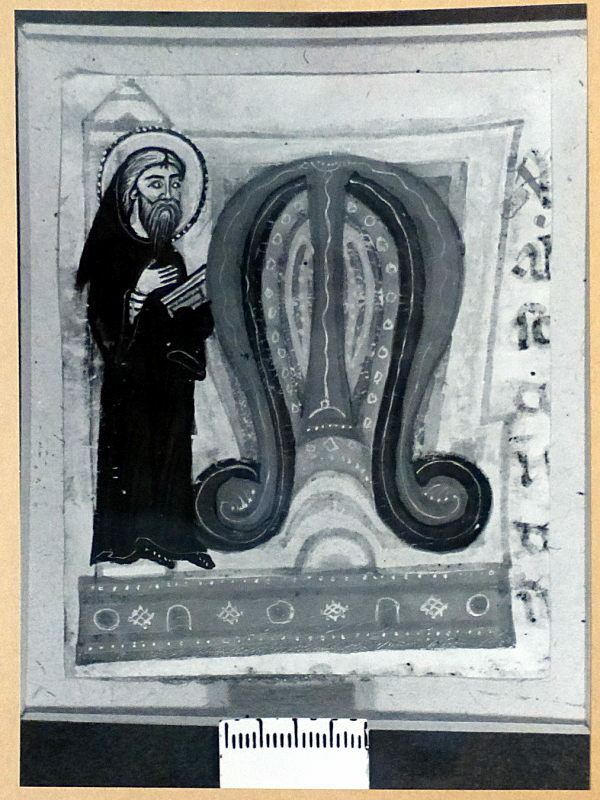 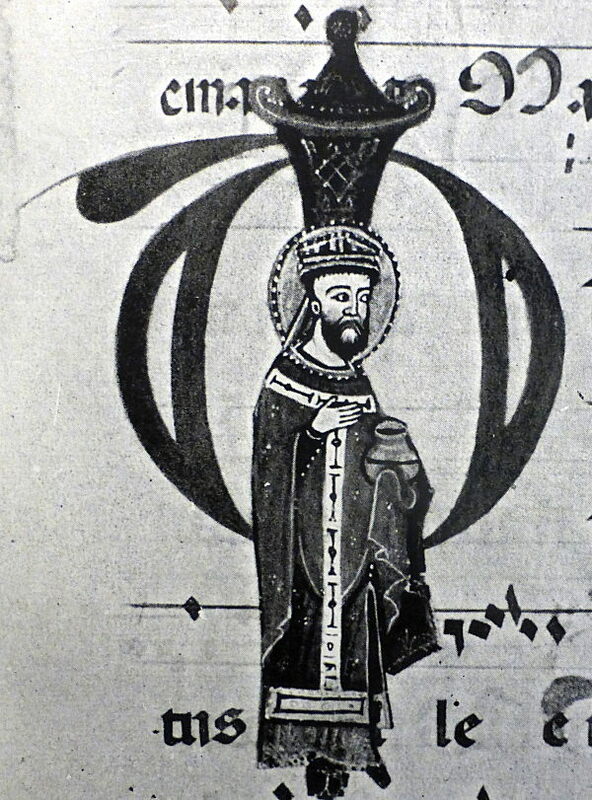 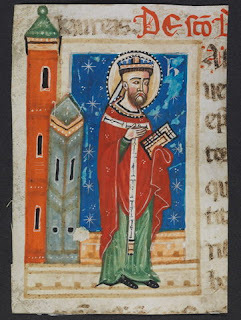 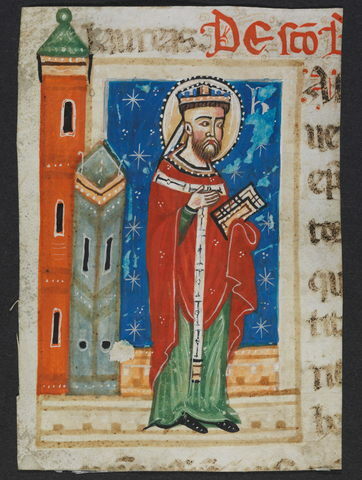 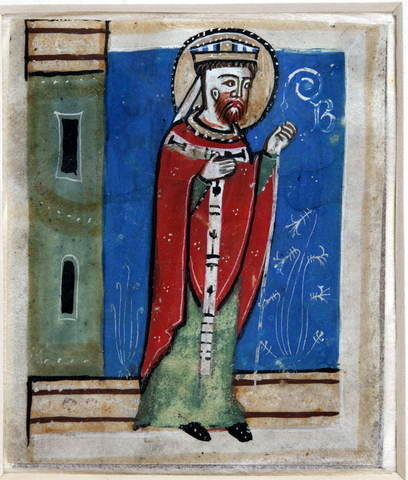 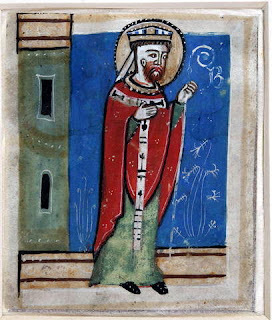 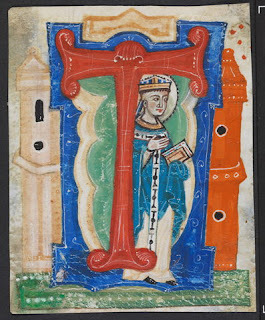 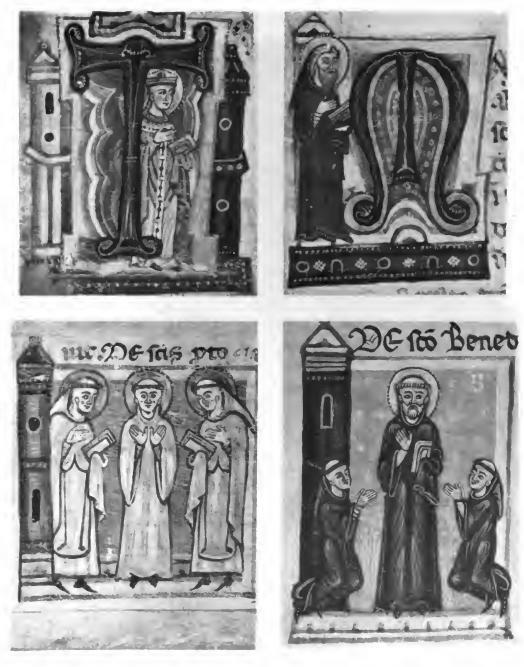 Being an initial "A", the initial presumably represents one of several male saints whose vita begin with this letter: perhaps Anthony, Amand, Alexis, Apollinaris, or Adrian (as the figure does not have an obvious attribute, and is not dressed as an abbot or bishop, we can probably exclude Andrew, Ambrose, Augustine, Arsenius, and Agathus). 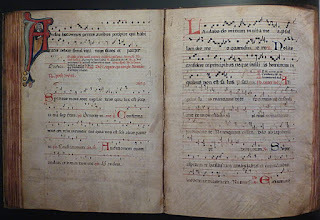 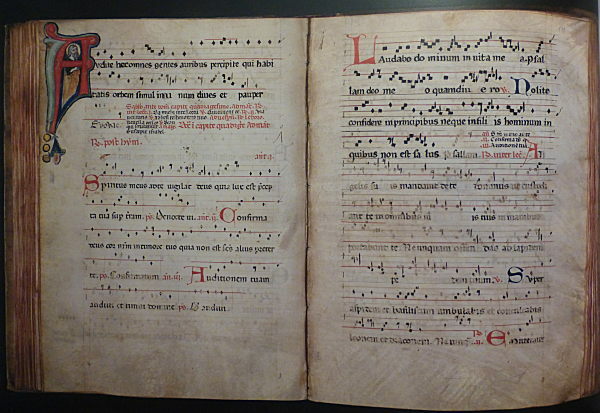 From the fact that the initial is a "U"/"V" and depicts a crowned female saint, it probably comes from the chapter on St Ursula and the 11,000 Virgins, which begins "Undecim milium virginum ...", and which in the following sentence records that Ursula was the daughter of a king [online edition]. 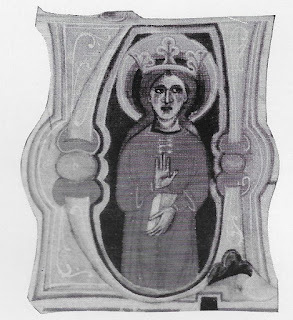 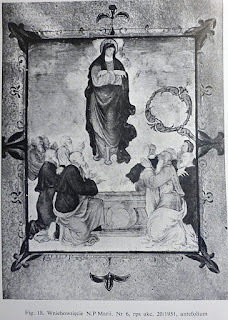 (Alternately, it perhaps could be from the vita of an unnamed virgin of Antioch, which begins "Virgo quadam fuit Antiochiae ..." [online edition]; she is not described as a princess or queen, but when looking for inspiration the artist's eye might conceivably have alighted on the phrase "Venit enim coronae dies ...", which occurs near the beginning). 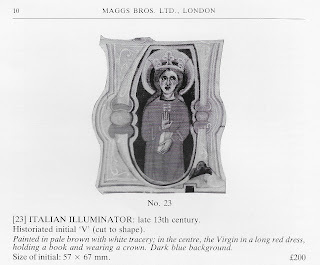 I wonder if this cutting is the "small cutting with a princess saint in an initial V in the Enrico Frascione collection in Florence" from a "broken-up choirbook", mentioned by Freuler in his 2013 catalogue? 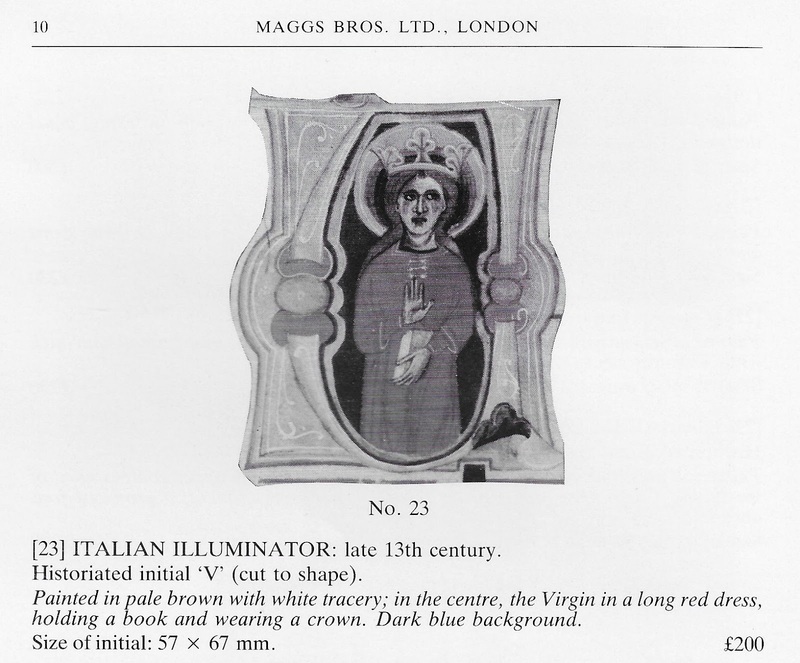 The 1958 catalogue dates it to the second quarter of the 16th century, and I suspect that it may be even later, but in any case, it probably provides a mid 16th-century terminus post quem for the date at which the undecorated volume in Cracow was embellished with illuminated cuttings. This makes it even more likely that the flask/jar held by the unidentified saint is a deliberate and significant identifier, and thus makes it doubtful that he is St Ignatius of Antioch. 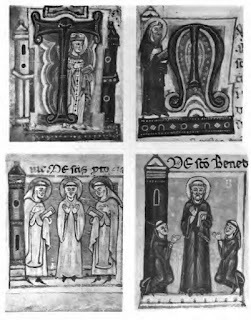 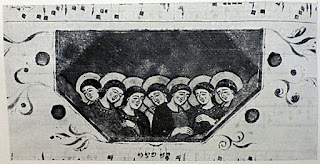 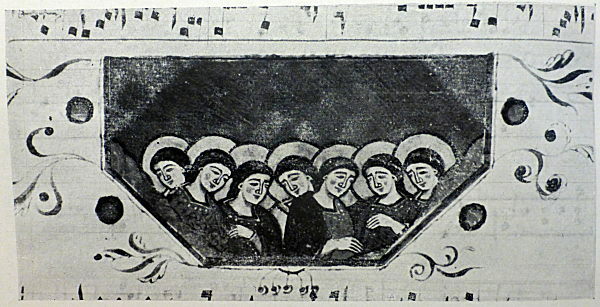 If the selection of stories in the parent volume of Lives of Saints was adapted to the region in which it was made, he might instead represent a lesser-known local saint, and thus be a clue to the origin of the manuscript.